The science behind why putting your needs first changes your life (and the lives of those around you) for the better, and how to make it happen. In case of an emergency on a flight, we’re told to “secure your own oxygen mask before assisting others.” That advice makes sense on an airplane, but out in the world, we can’t wait for things to get dire before we put our own well-being first—we need to prioritize ourselves every day. For many people though, their to-do list looks more like this: work comes before exercise and sleep, family and friend’s needs come before theirs, and meditation (or relaxation, for that matter) isn’t included because there aren’t enough hours in the day. But the research is clear: By putting our mental and physical well-being at the top of our to-do list, we’ll improve every aspect of our lives, including our work performance. 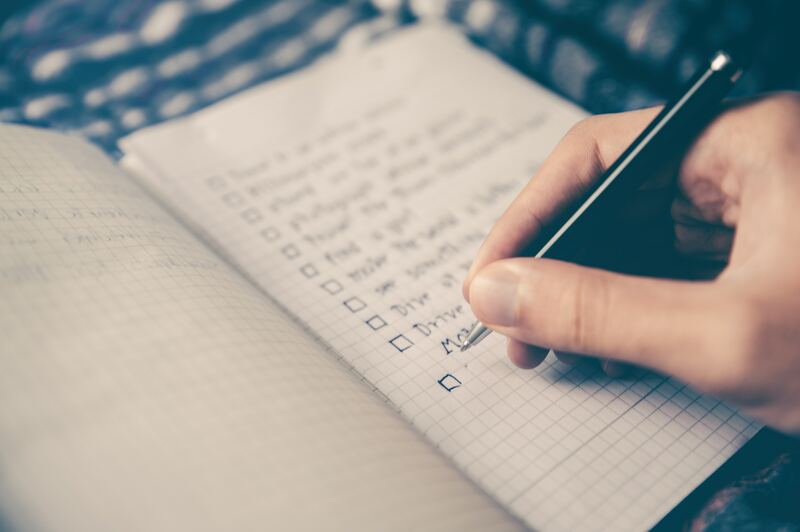 Giving yourself permission to prioritize yourself is hard, especially in our hyperconnected world where technology allows our responsibilities to follow us everywhere. But with research, expert advice, and the support of those around you, putting yourself first feels much more possible. And once you make one small change and start to experience the benefits, all the other changes become easier. This Thrive Guide will show you exactly how to put your needs first and how doing so can move your life in a healthier, more productive direction. It’s not selfish — it’s actually the way to make yourself more effective for everybody in your life. Reorganizing your daily priorities around yourself probably feels like a radical shift. But it actually requires far less effort than you might think, and it doesn’t mean ridding yourself of your other responsibilities in the process. You’ll see how easy it is with our Thrive Global Microsteps—simple, science-backed changes you can start incorporating into your daily life today. In our Tech to Thrive section, we’ve curated the best technology and products that can help you add well-being-focused activities to your day. And while these changes are important for your own well-being, supporting your team as they make these changes is critical. Our Managerial Take-aways section offers advice for managers who want to lead by example and help their direct reports follow through on their self-prioritizing goals. You’ll benefit, your team will benefit, and so will your relationships. After all, who doesn’t appreciate a boss who reminds them to make time for themselves? By the end of this guide, you’ll have the tools and practical advice you need to meet your personal well-being goals at work and at home. Let’s start with the research that proves how focusing on your physical, mental and emotional well-being is the best advice you can follow. Drawing boundaries between work and rest is essential— just ask anyone who’s ever tried and failed to go straight from plowing through work email to a peaceful night’s sleep. Getting the recommended 7 to 9 hours of sleep each night (yes, even when going to sleep means leaving some work undone–you’ll never complete everything on your to-do list!) sets you up for a solid performance the next day. On the other end of the sleep spectrum, a study published in the journal Sleep found that subjects who only got 4 to 6 hours of sleep per night for two straight weeks (which isn’t too far from what you might be getting if you’re consistently working late into the night) functioned as poorly as those who were forced to stay awake for two consecutive nights. After quality sleep, exercise is one of the best performance-improvement tools at your disposal. Regularly getting your heart pumping can protect against volume loss in the hippocampus, the part of your brain that helps control memory and learning, according to a study published in Proceedings of the National Academy of Sciences. Getting up and moving can also help you with creative problem-solving, suggests a study in the Journal of Experimental Psychology, and taking a break from work to exercise can actually boost your productivity and time-management skills, according to a study in the International Journal of Workplace Health Management. Remember that “regular exercise” doesn’t have to mean carving out an hour every day—just 15 to 20 minutes of higher intensity exercise can be as effective. Speaking of taking a break from work, it’s also important to build mental breaks into your daily schedule. When you allow your mind to wander, your creativity flows and “Aha moments” can strike, offering answers to problems you didn’t even realize your mind was working on, according to a 2015 research review published in the Annual Review of Psychology. That’s proof that your brain wants to help you overcome roadblocks and create solutions, but you have to disconnect in order to let it do its job. An easy way to start is to take advantage of lines — waiting for your coffee, for your lunch order, for the train. Rather than go straight to your phone, let your mind wander. Research suggests that short, daily journaling sessions can help you learn new skills. Also, taking stock of what you’re grateful for each day can boost cooperation among team members. A 2017 review in Psychological Bulletin found that gratitude makes people more likely to help others. While a study in the Journal of Personality and Social Psychology showed that, when you express gratitude to someone, that person is more likely to help both you and others. Finally, there’s meditation, which, according to a 2016 study in Biological Psychiatry, can help you handle stress better. The best part? These are quick activities, perfect for starting or ending the day, or incorporating into your workday when you need a break. We’ve laid out the research. Now it’s time to put all your new knowledge into action. Now that you know how your life will improve by putting yourself first, you can dive into the microsteps. Identify moments of micro-rest, which can be as short as one minute, and use them more effectively by stretching or practicing deep breathing. You’ll reduce your stress and improve your productivity. Writing with pen and paper is a calming counterpoint to typing and tapping on devices. It helps center you so you can collect your thoughts, reflections and even dreams without digital distractions. Schedule an appointment with yourself on your calendar. If you live by your calendar, try blocking time for the things that matter most to you. Whether it’s going to the gym, spending time with friends or getting to bed on time, setting a calendar reminder will help you hold yourself accountable.These small actions will snowball, making it easier to keep prioritizing yourself and helping you reap the benefits of putting your needs back at the top of your to-do list. Time for a Business Turnaround? Here’s a Flight Path to Success. Put Your Oxygen Mask On First Mama!